We know that Google is providing us a lot of products for free. Firebase is one of them. 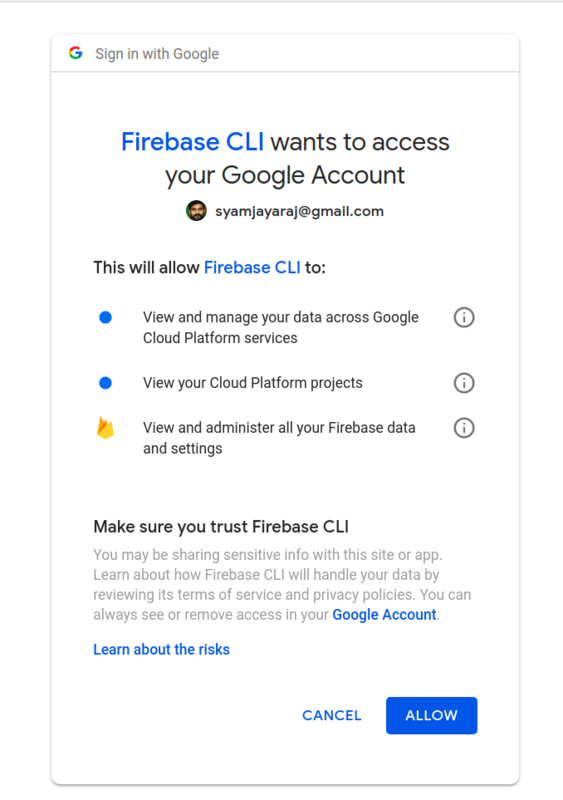 Anyone with a Google account can use Firebase with limited resources. 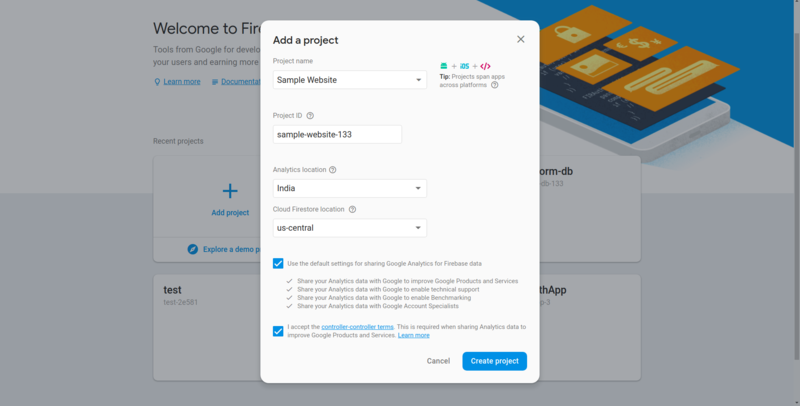 Firebase contains features like Firestore, Cloud storage, Database, etc. 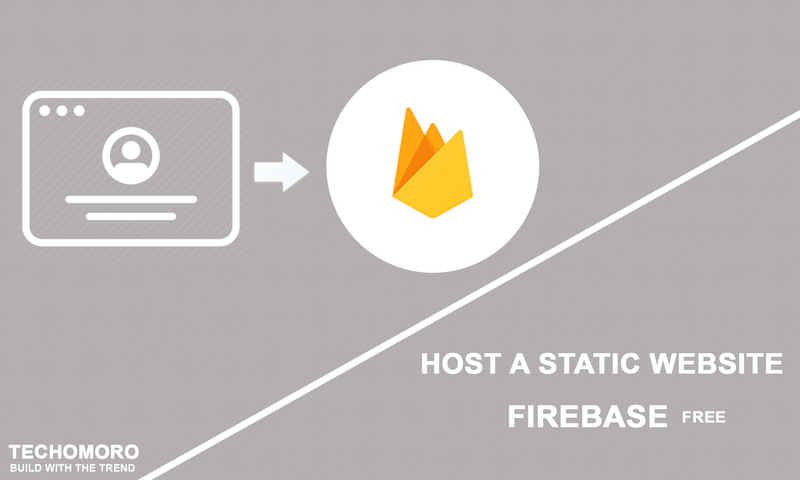 Here we are going to discuss the steps of hosting a static website with Firebase hosting service. First of all, we want to know the difference between static and dynamic websites. Dynamic Website pages can display different content from the same source code by fetching the data from a server. This fetching of data is done using any backend programming languages. In this tutorial, we are not diving to HTML/CSS development. 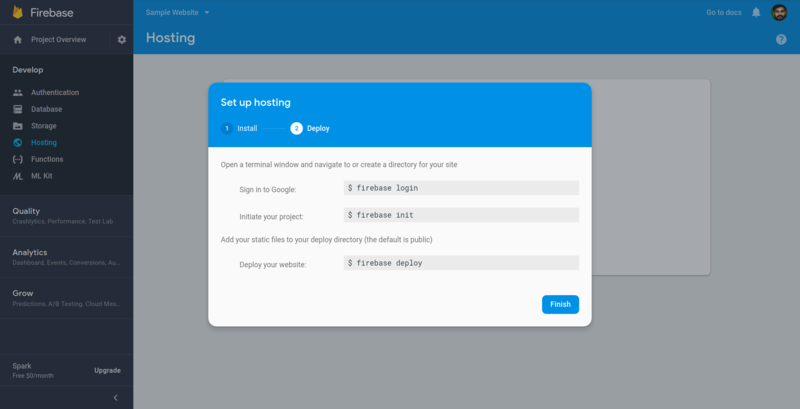 Just downloading a Bootstrap template and hosting it in Firebase. Here we need to download a static website template first. Use the below link to get one. This will download a zip file on your downloads folder. Unzip and rename the folder name to SampleWebsite. Now the website to be deployed is ready on the SampleWebite directory inside Downloads. Setup a project on Firebase using the reference below. Click on Add project and fill the form with your project name. Press Create project button. If everything goes well, it shows up a success message as shown below. Now go to Hosting from the side menu and press Get started button. This will show a modal like below. 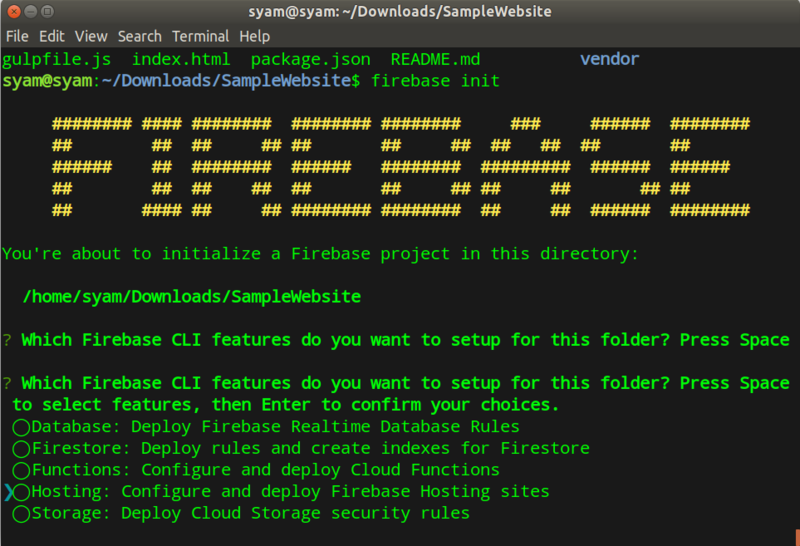 It shows the instructions to install firebase-tools on our system. It can be easily done with npm. So at first, we need to install Nodejs on our system to work with npm. 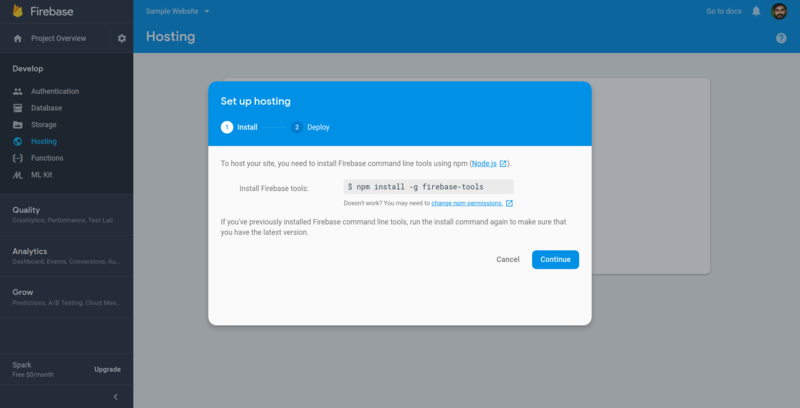 Install firebase-tools with the command below. 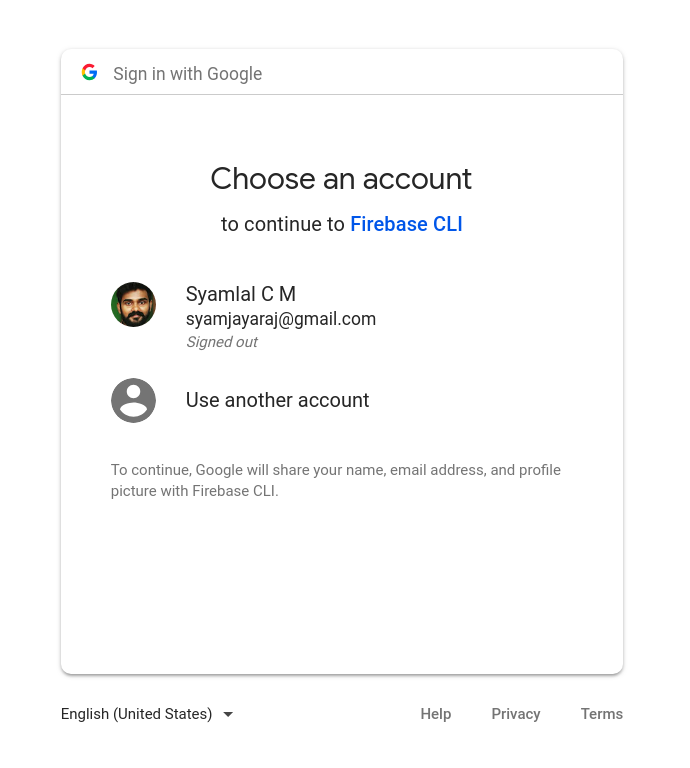 Log in to the Google account using the command below. This will ask you for permission as below. 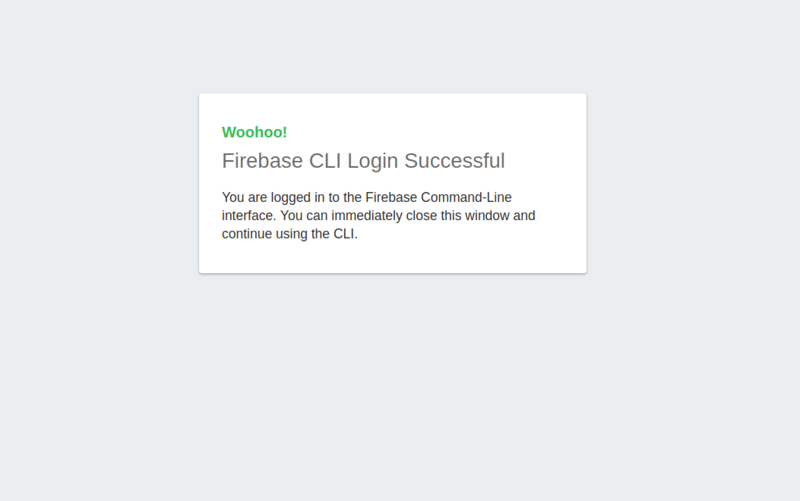 Allow Firebase to collect anonymous CLI usage and error reporting information? Allow permission to access your Google account. After that, a Success message will be shown on our system. Now, direct to the template directory. 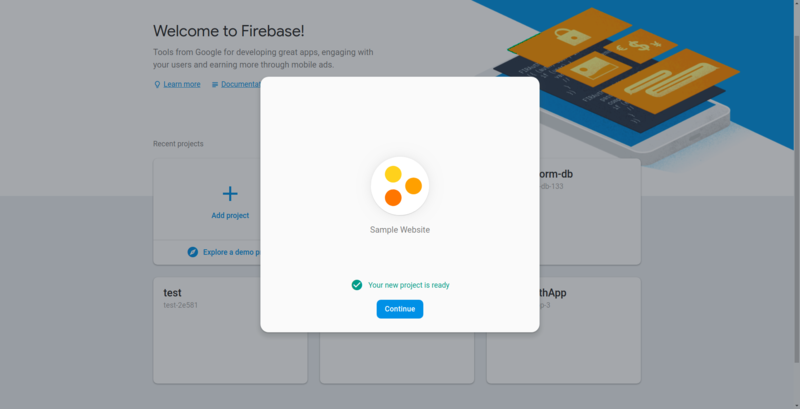 Initialize Firebase in our project. Now it asks some questions. Select Hosting from the options. 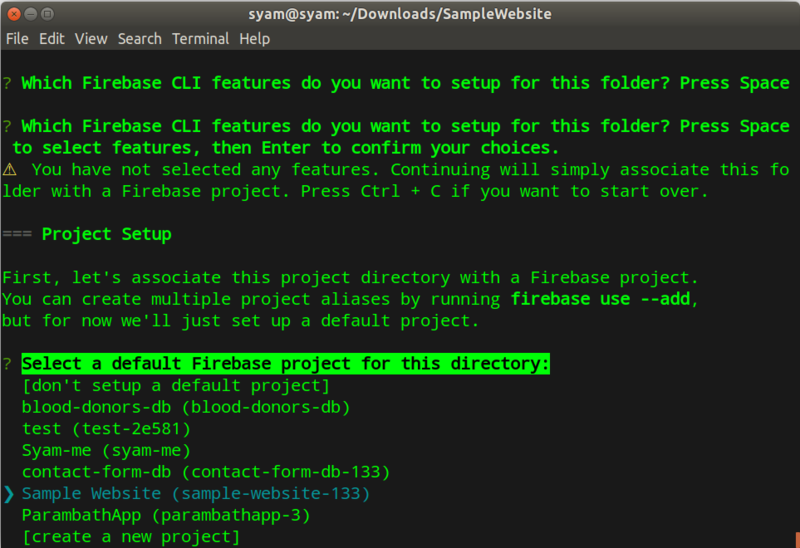 Deploying the project to Firebase can be done by a single command. But as a default, firebase only deploys public folder in our project. This feature can make deploying a React or Angular project you made much easier. In our case, we need to change the file firebase.json. Now, Save this file using Ctrl+O and exit nano editor by Ctrl+X. Now deploy your project using the below command. If everything goes well, it shows up Deploy complete! message and a hosting URL. In my case, the hosting URL is as given below. Now we can connect a domain name(If we have one). Using the below URL, we can add a domain name to firebase and it gives us a TXT record. Just add this TXT record in our DNS.